After many years of working in rewarding careers my husband Alan and I decided we wanted more out of life. We had previously traveled to Asia, Europe, South America, and North Africa and enjoyed the thrill of discovering new places. We talked about moving to Asia for years. Our love for this exotic part of the world began on our first visit in 1979. It has a reputation for quality healthcare and infrastructure, and the low cost of living is an attraction for us. So we stopped talking about it and did it. As soon as we got off the plane in Chiang Mai in Thailand we found the people were more welcoming, friendly, and genuine than anywhere else. An added bonus is that it’s affordable and cool. 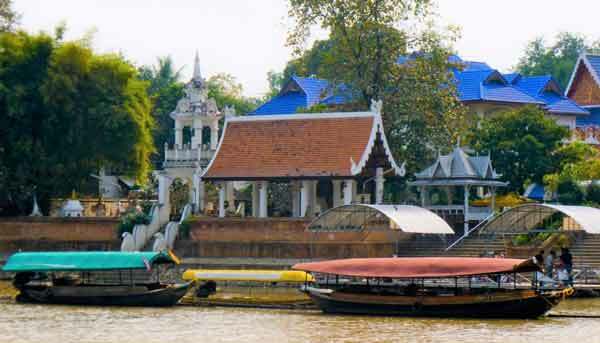 Chiang Mai is a modern city in Northern Thailand. Surrounded by mountains and lush countryside, its cooler climate makes it a favorite amongst expats. Chiang Mai’s average annual temperature is 77 F, with temperatures dropping as low as 50 F in the cooler months, between November and February, and soaring to a high of 100 F between March and October. The thriving expat community here made our move to Chiang Mai run smoothly with the help and advice of the Chiang Mai Expats Club. From our first meeting, they put us on to real estate and answered any questions we had. Our first year in Chiang Mai has been so easy. Living here is never boring; we have met so many interesting people and our life can be as busy or quiet as we want it. We have so much fun, meeting up with our friends for shopping, card and computer clubs, or going out to enjoy Chiang Mai’s nightlife, entertainment, and restaurants for a fraction of the cost back home. What I love most about Chiang Mai are the differences… The energy of the markets, the craziness of the traffic, catching local transport, and sharing a smile or a laugh with the locals. It’s the simple things that enrich our life. We live in a fully furnished, one-bedroom apartment, which includes crockery, cutlery, and linen for $725 per month. Our apartment building is modern, with a communal swimming pool and gym. The best part of our apartment is the balcony, where we enjoy watching the sunset over the mountains and city in the evening. On average, we spend around $32 on power, $8 on water, $16 on broadband internet with unlimited downloads, and $8 on our mobile phone plan per month. We have a small kitchen but rarely use it because it is cheaper to eat out. Our apartment is surrounded by restaurants, cafés, and markets and is within walking distance to most amenities. 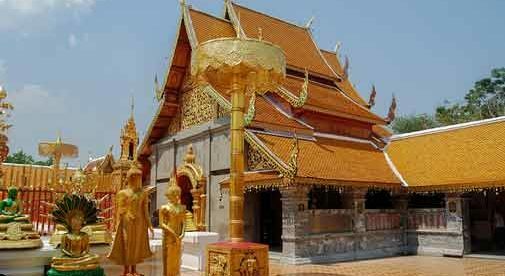 Chiang Mai is a cosmopolitan city that features cuisines from all over the world. My favorite spicy noodle dish, Khao Soi, costs 75 cents from my local market. I also buy most of my fresh fruit and vegetables from the market, where a large bag of tomatoes costs 75 cents. Our corner street cart sells a delicious Pad Thai for $1.40 and I can get a bag of freshly sliced fruit from the cart across the road for 60 cents. Restaurant meals start from around $3. Living in the city center, we either walk or use public transport. We use a songthaew (red bus) for as little as 60 cents around the city, a little more for further afield. (Songthaews are covered utility trucks with two bench seats in the back). Exploring Thailand, we have discovered the beauty of Phuket’s beaches, the Northern Thailand mountain vistas of Pai and Mae Hong Son, and the fast pace of Bangkok. We have also discovered that we are adaptable—moving to a different country takes an element of courage but the adventures we have had are our reward for taking that first step.